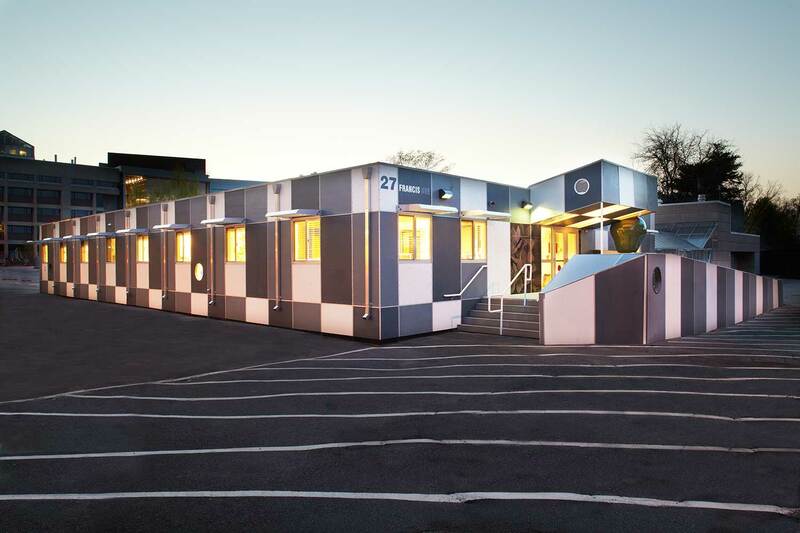 Rapid deployment, offsite construction, and shorter depreciation schedules make temporary modular building systems extremely cost effective. Whether leased or purchased temporary structures have the ability to be relocated. Re-purpose the modular building you are using as an office today into a temporary bookstore for the next academic year. Budget driven companies can opt for lease agreements, fulfilling space requirements without long-term capital commitments. Triumph has an inventory of temporary structures in various states of use and contract or can custom build to suit your requirements. Whether it’s “off the lot” or custom built, temporary modular can offer dramatic savings as compared to conventionally constructed buildings. In the before image on the left, the modular building is being used as a Daycare center at Harvard University. In the after image on the right, the same building is being used as Student Information Center at Tufts.